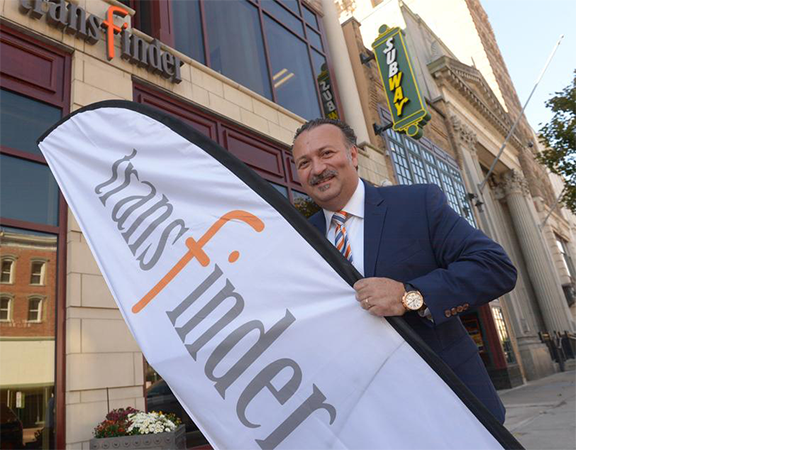 SCHENECTADY -- Transfinder is looking to expand beyond its 440 State St. offices. Civitella said 85 of the firm's employees are located in the current State Street building. Civitella said he’s also looking at entering into new markets. He said they have already begun working with municipalities, including Schenectady, Binghamton and Clifton Park, but he’s looking for more. This could include the food service industry or even the beverage industry, Civitella said. “We would love for our software to manage any vehicle that is on the road,” he said. The newly purchased building houses a Subway sandwich shop, which Civitella said won’t change. He said the business will continue to lease the space it is in. The announcement comes after a year in which Transfinder reported record revenues -- $13.67 million in 2017, an 8 percent increase over 2016 revenue. With those results, and the roll-out of new products and upgrades to existing products, Civitella said the company is now able to expand. Purchasing the building is something Civitella said he learned from his father. That’s what Civitella did. It’s the same reason he purchased the former Schenectady County Department of Motor Vehicles building on lower State Street, next to his New York BizLab business incubator, he said. Transfinder's growth comes at the same time the city is going through a revitalization, Civitella said. And he said he’s more than happy to contribute. Mayor Gary McCarthy said he was pleased to hear about Transfinder's purchase. Civitella said there are no plans to modify the newly acquired building or to move anyone over until 2020. But he said the building, which comprises 3,194 square feet, could grow into 10,000 square feet by bringing it up to four stories. It took an approximately $7 million investment to knock down the former 440 State St. building and rebuild. Civitella said he isn’t sure how much it will cost to add onto the 438 State St. building, but he said it would be in the millions of dollars. Nothing, though, is set in stone. “Having options is a good thing,” Civitella said.